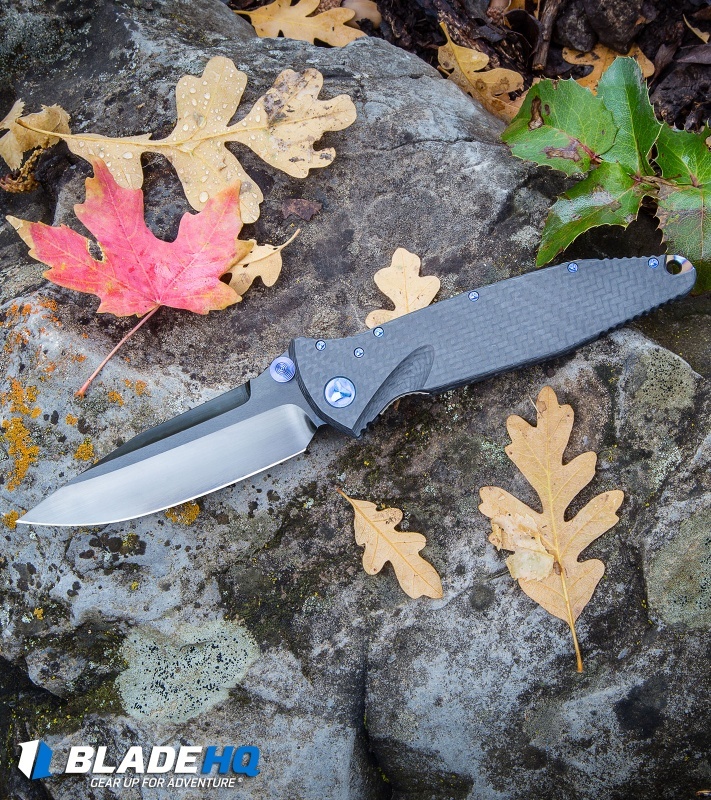 This Marfione Custom Socom Elite Manual knife features a clip point blade made from Bohler M390 stainless steel with a DLC satin finish. 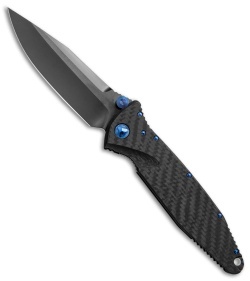 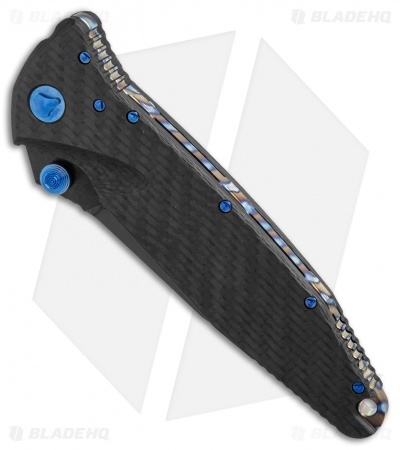 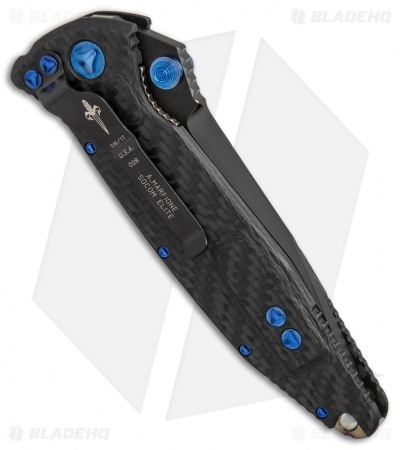 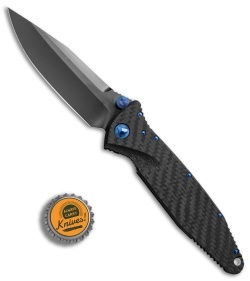 Its handle is made from lightweight carbon fiber with blue anodized titanium hardware and a flamed backspacer. Comes complete with a zipper pouch and certificate of authenticity in a Marfione Custom Knives box.